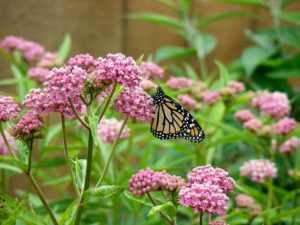 If you want to attract Monarch butterflies to your garden you need to plant milkweed. 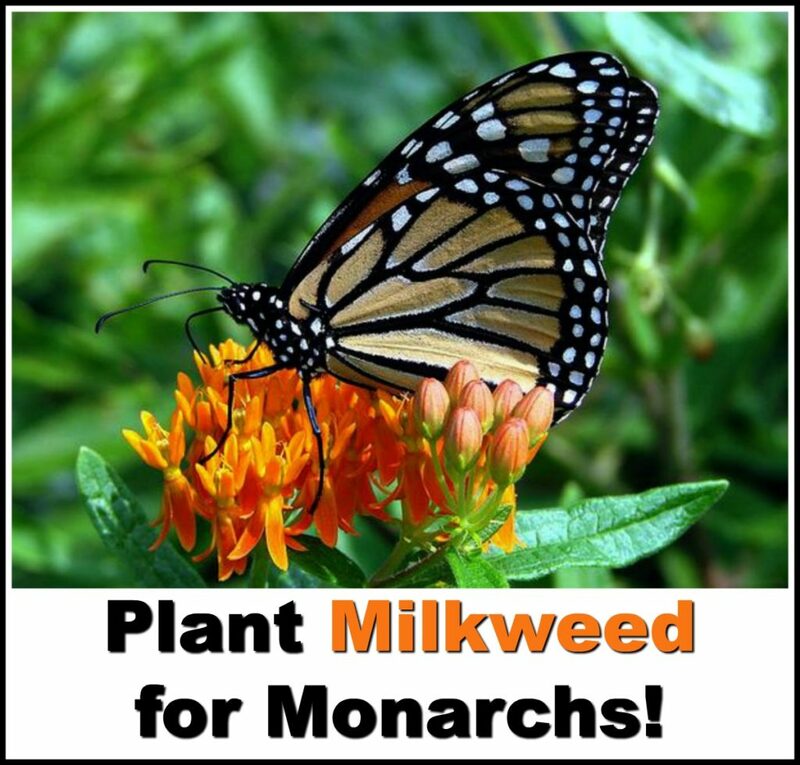 If you want Monarch butterflies, plant Milkweed! Monarchs (Danaus plexippus) lay their eggs exclusively on Milkweeds (Asclepias spp.) in the genus Asclepias. 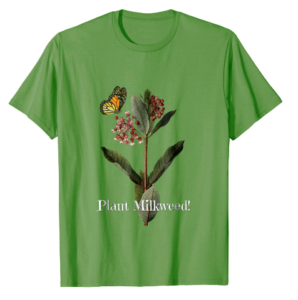 Milkweed is named for its milky sap, which consists of latex containing alkaloid and several other complex compounds, including cardenolides, which are toxic and help protect the caterpillar and butterfly from predators. 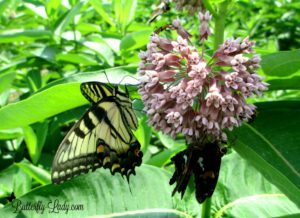 Milkweeds not only will attract Monarch butterflies to your garden, but many other species of butterflies as well. The fragrant flowers are a favorite nectar source for Swallowtails (Papilio spp.). Common Milkweed, Asclepias syriaca, provides a fragrant nectaring station for all butterflies, as well as large leaves for Monarch and Queen (Danaus gilippus) butterfly caterpillars. Click Here or on the photo to shop for Common Milkweed seeds. Common Milkweed (Asclepias syriaca), is a critical plant for Monarchs but has a spreading root system so it needs plenty of space. It’s a wonderful choice for natural areas and an excellent replacement for tough invasive plants in sunny spots. Perennial in USDA Zones 4-9. Native to most of the eastern US and eastern Canada. Full sun, but will tolerate some shade. Thrives on almost any well-drained soil, even tough clay or dry sand. Spreads rapidly by rhizomes, so it is best planted in a large area. Click Here or on the photo to shop for Swamp Milkweed seeds. 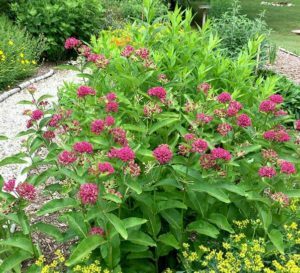 Swamp Milkweed (pink flowering) (Asclepias incarnata) usually grows in moist areas but it does not require a moist location in the garden. It will grow well in containers and can easily be grown from cuttings. Click Here or on the photo to shop for Butterfly Weed seeds. 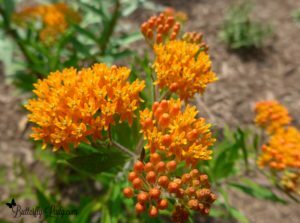 Butterfly Weed (Asclepias tuberosa) is also called Pleurisy Root, Canada Root, Orange Milkweed, and Indian Paintbrush. It takes about two years before it flowers, but it is well worth the wait for the spectacular orange blooms. Unlike other milkweed species, the leaves don’t contain milky sap. Perennial in USDA Zones 4-11. Native to most of the Continental US and Eastern Canada. Dry, sandy, well-drained and slightly acidic soil. 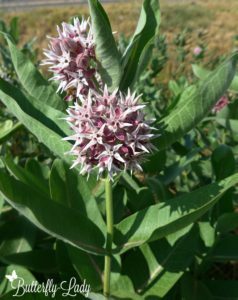 Click Here or on the photo to shop for Showy Milkweed seeds. Showy Milkweed (Asclepias speciosa) has flowers that resemble a cluster of brilliant pink stars. Although it spreads through underground rhizomes, it is far less aggressive than common milkweed, and is an excellent alternative. 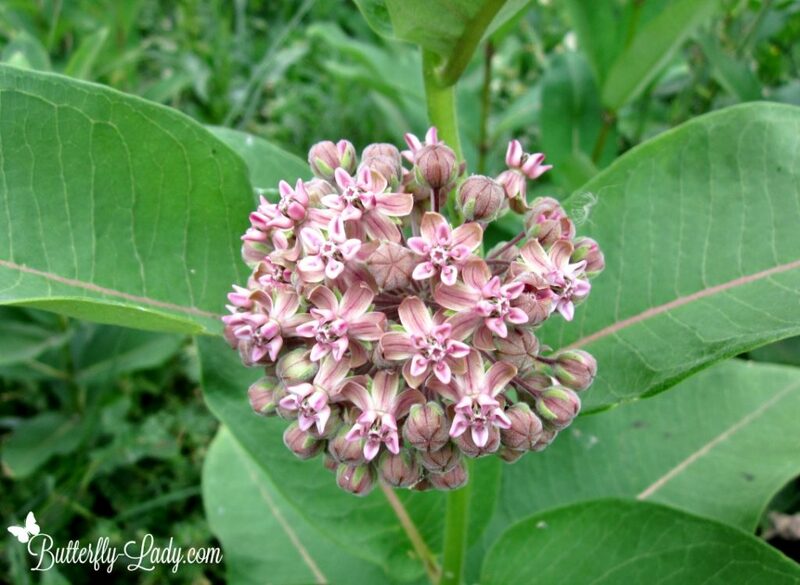 Click Here or on the photo to shop for Purple Milkweed seeds. Photo courtesy of Brenda Sattler Dziedzic, author of Learn About Butterflies in the Garden. Click Here to see Ms. Dziedzic’s book. Purple Milkweed (Asclepias purpurascens) is similar in appearance to common milkweed, but the blooms are a deeper purple color and this species won’t take over your garden. 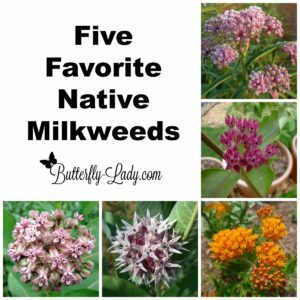 If you want plant native Milkweed seeds you need to start now! Native Milkweed seeds need a cold, moist stratification to encourage spring germination. With spring just around the corner, it’s time to get those seeds in your refrigerator! Thanks to BASF Living Acres for permission to use this photo! Step 1: Milkweed seeds need to go through a period of cold stratification. 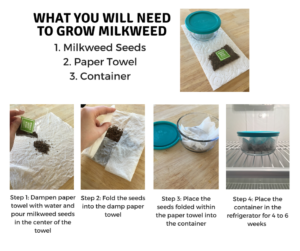 To do this, put your Milkweed seed in a damp paper towel or some damp sand inside a zipper bag, and place in your fridge for 3 – 6 weeks (30 days). Choose a low-traffic place inside your fridge where it won’t get damaged. Step 2: Planting – Once the 30 days are complete, it’s time to plant the cold stratified Milkweed seeds. We recommend planting in 2-4” peat pots. Fill the peat pots ¾ of the way with a ‘seed-starting potting soil’ and gently add water. Water should be able to drain through the peat pots. Once the soil is damp, place 1-2 cold stratified seeds into each pot. To finish, place 1/4 inch of soil on top of the seed. Step 3: Watering – Gently water the planted seed to give additional hydration. The best way to water is from the bottom up: use a flat pan under the peat pots and add half an inch of water to the bottom of the tray. Don’t overwater, as it can cause fungus. Water every day, or every other day as needed. The best way to test the soil dampness is to touch it; if the soil seems dry then add water, but if it’s wet, wait for the soil to dry out before adding more water.